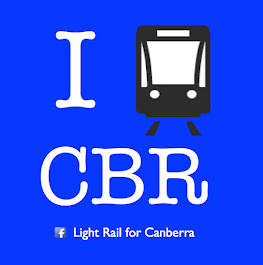 Damien Haas, Chair of ACT Light Rail has been asked to speak at the Community Alliance Party Conference 'ACT Now!' on Saturday 2 July. The theme of the CAP Conference is 'Governance in the ACT'. Mr Haas will be delivering his presentation "Light Rail in the ACT - The Challenges and Benefits" - around 11.30 AM - the public are welcome to attend I'm told. Apart from the light rail presentation - other topics are: governance, accountability, corrections (prison related I suspect), schools, population, community councils, and territory-federal government relations. It should be very interesting. The conference is being held at Havelock House on Northbourne Avenue starting at 9.30 AM and running until 4.30 PM.